My previous exploration of material culture, outlined in Chap. 2, really activated my thinking about how I might apply my interest in instruments as material culture into a course of study that had the goal of reengaging undergraduate learners with science. 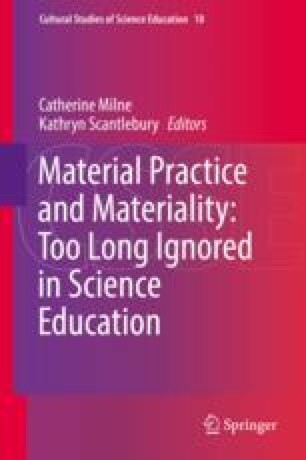 In this chapter, I make a case for using phenomenology and feminist theory to build a curriculum that seeks to value the learning of the students in the course and describe the phenomena I produced in the process. Zooniverse. (n.d.). Located at: https://www.zooniverse.org/projects?